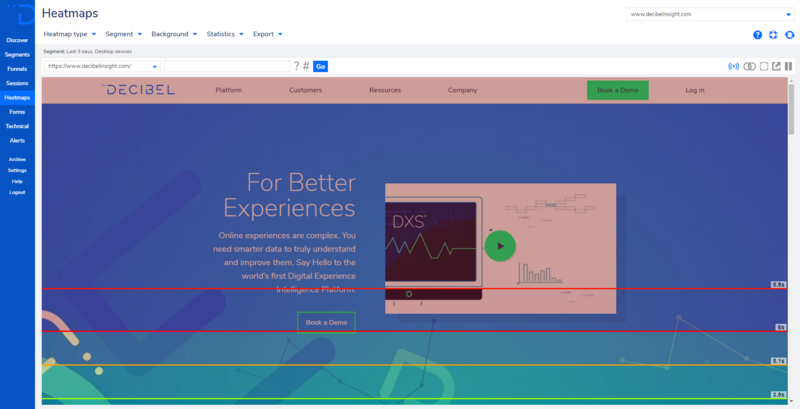 There are two types of Scroll Heatmaps which help users define how much of their content is actually being viewed by users. 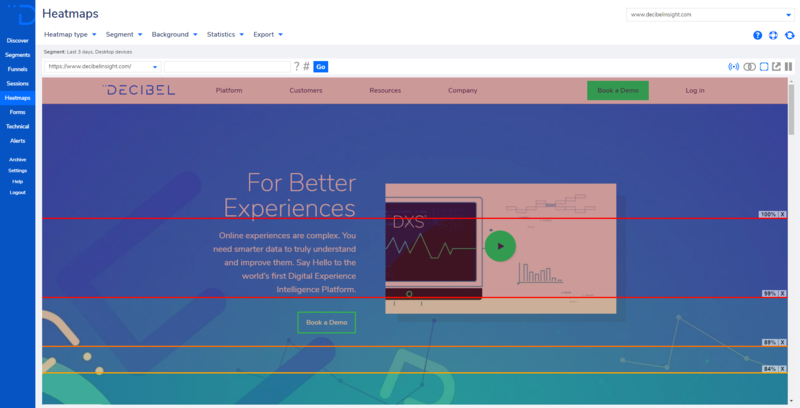 The Reach Heatmap (above), shows the percentage of users that reach a particular point in the page, along with the average fold, while the Attention Heatmap (below) shows the average time that users are viewing a particular part of the page. 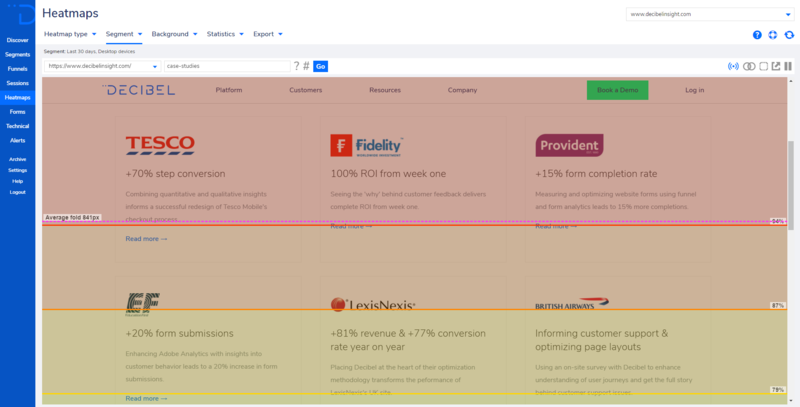 You can see all of the Session Replays of users who reach a particular section of the page in Scroll Heatmaps. Simply hover over the percentage, where you will be presented with a Show Visitors button. This will show you a list of all of the Sessions that reached the particular section of the page, and you can click the Play button next to a relevant session to see the Session Replay for that visitor. You can adjust the plot lines of Scroll Heatmaps by using our Boundary Mode feature. Simply click the Boundary Mode square icon which can be found in the top right hand corner (above) next to the Open in a New window icon. You will now be able to click and add additional plot lines. With this you can create multiple plot lines where you can see the reach or attention of a certain area of your webpage, which can be seen at the far right of each plot line. To remove a plot line, simply click the X icon next to it. Scroll Heatmaps can be exported as PNG, CSV or JSON files using the Export feature, while you can also export sessions data when using Boundary Mode.